Drinking enough is important. It’s generally recommended to drink eight small glasses, or about 2 liters of water a day. But how much do you need when exercising? Proper hydration strategy can have a big impact on your performance. Let’s look at how much and when to drink and what type of beverages to choose to maximize performance. For most people, thirst is a sufficient indicator of hydration status. It’s a very reliable instinct that developed through our evolution to keep us hydrated and alive. Thirst begins when the concentration of blood, an accurate indicator of our state of hydration, has risen by around 2%. Dehydration begins at about a 5% increase, so thirst signals a good time to drink and it comes soon enough to avoid any problems. Unless you’re a trained athlete acclimated to the current temperatures doing a routine training session you should drink on schedule. Especially when you’re training more than once a day or in an unusually hot climate, it’s better to have a hydration plan. 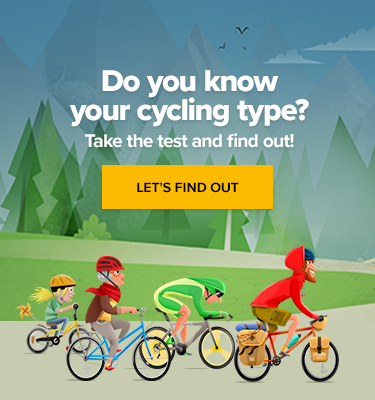 The average person shouldn’t exceed 800 ml of fluids in a temperate environment; but it’s necessary to adjust for size, intensity and length of your ride, and your sweat rate. Surprisingly, plain water is not the best way to hydrate when exercising. The ideal hydration drink should contain 2 – 4 % of glucose to enhance fluid uptake, and sodium to help the water flow from the intestines into the blood. There are three types of sports drinks that differ in sugar content. Hypotonic drinks – These have a lower concentration of sugars (1 – 4%) than blood, that’s why they allow for very fast absorption. They are best used before or during long endurance events where hydration is the top priority. 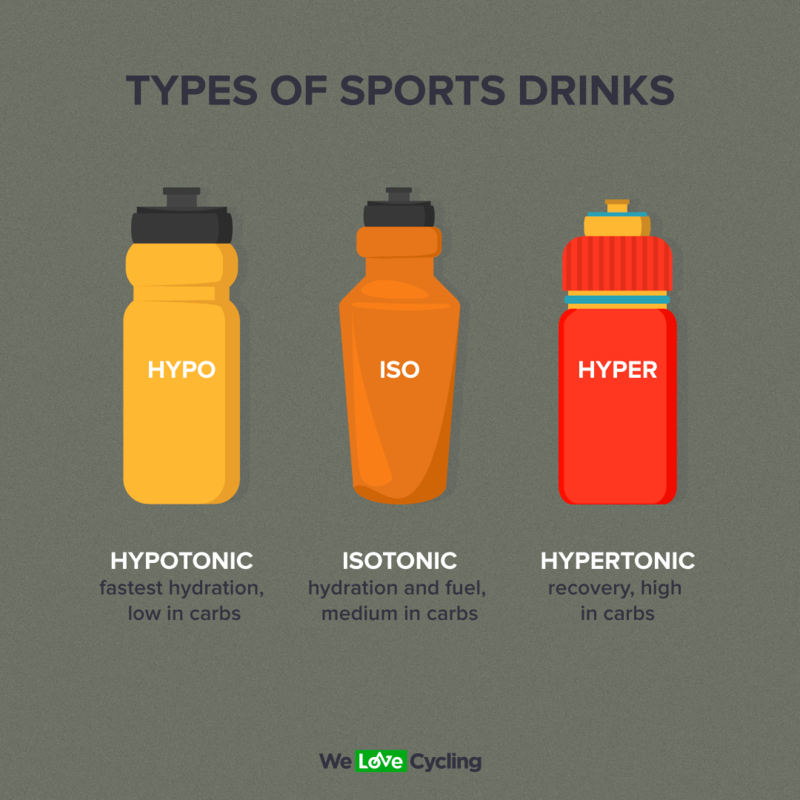 Isotonic drinks – These have a similar concentration of sugars (6 – 8 %) as blood. They are the most universal when it comes to usage and that’s why most regular sports drinks use this formula. They give you a moderate amount of carbs and are absorbed relatively fast too, but can cause digestive issues in higher intensities. Hypertonic drinks – These have a higher concentration of sugars (10 % +) than blood. They digest slowly so they aren’t good for consumption on the bike they would cause digestive issues. They are best used for recovery. As you can see, hydration is not all about water. Most foods contain liquids, especially things like fruits, vegetables, and soups can significantly increase your hydration status without any actual drinking. Contrary to popular belief, coffee and tea count too, their diuretic effects are too weak to decrease hydration. And especially when exercising, you can get creative. This month will be all about different ways to hydrate and you’ll learn how to make hydration drinks at home to keep things interesting and tasty.